A 27-YEAR-OLD Chimanimani man, who last week left the gallery in stitches after he told Mutare magistrate Nyasha Kuture that he cultivated dagga after a friend told him that the drug had been legalised, has been jailed. 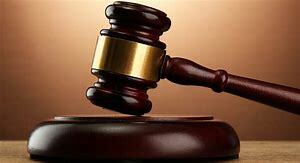 Farai Musiyazviriyo (27), from Maonzani village under Chief Mutambara, pleaded guilty to the charge and was sentenced to 12 months in prison. The magistrate, however, suspended three months on condition that Musiyazviriyo would not commit the same offence. “My lord, I was cultivating dagga because there was a friend who told me that it had been legalised,” Musiyazviriyo told the court last Saturday, before he was sentenced. The court heard that on April 5, police in Chimanimani got a tip-off that Musiyazviriyo was cultivating dagga at his home.